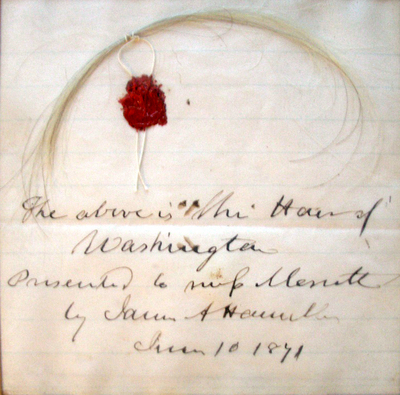 The above is the hair of / Washington / presented to Miss Menitt [?] 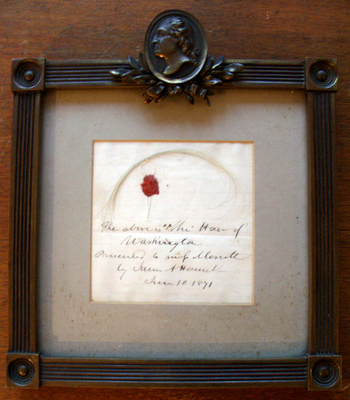 / by James A. Hamilton / June 10 1871 (EX 4795). The largest collection of celebrity hair is held by John Reznikoff, the “world’s pre-eminent historical hair collector.” This 2009 video contains a little of the hair in Reznikoff’s collection.